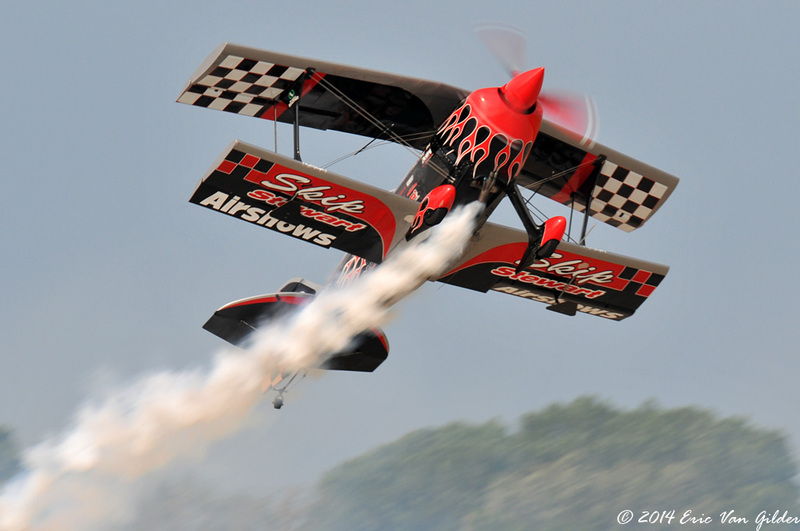 Skip Stewart has been thrilling crowds for many years. 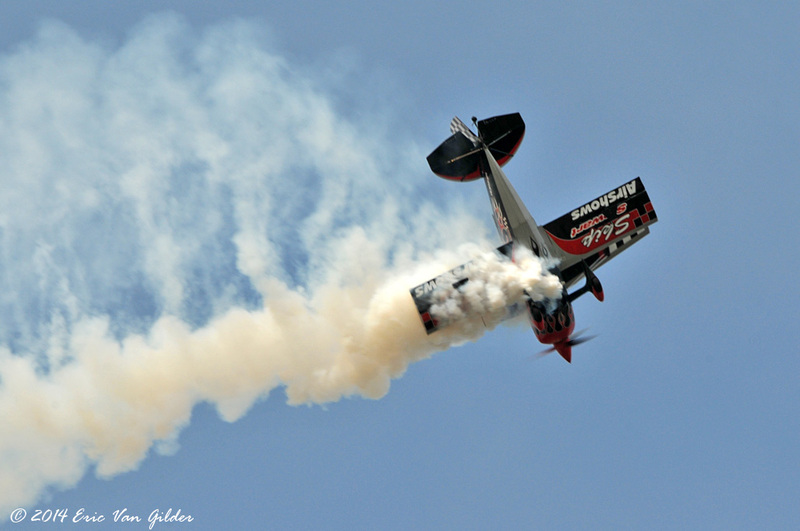 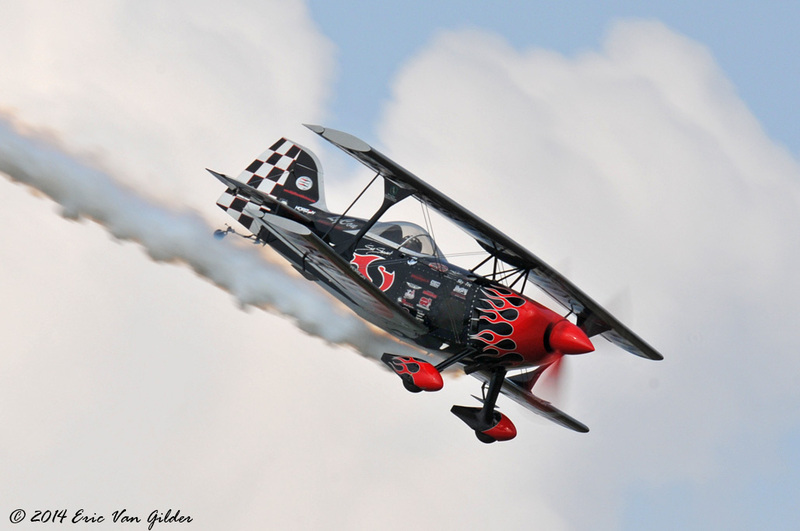 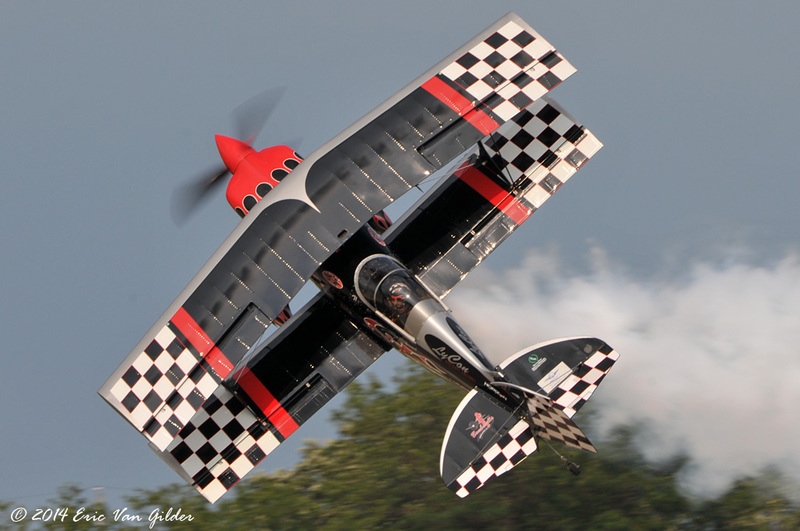 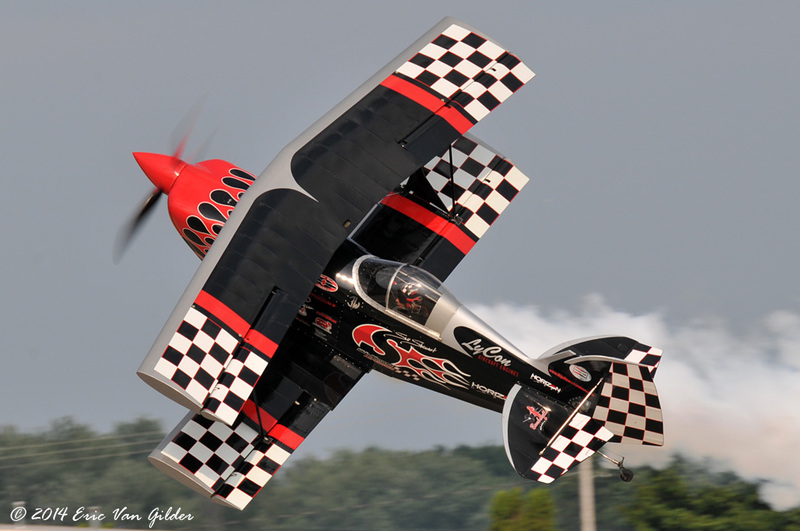 His current airplane "Prometheus" is a highly modified Pitts S2S with 400 horsepower driving a big three bladed propeller. 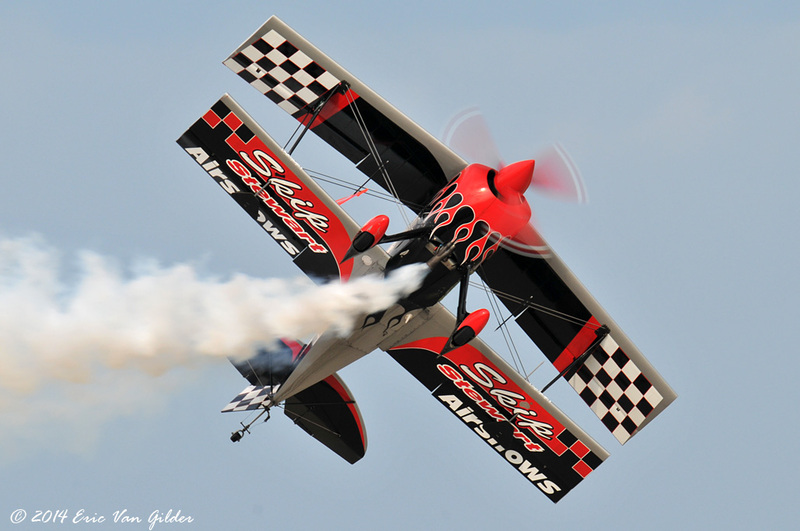 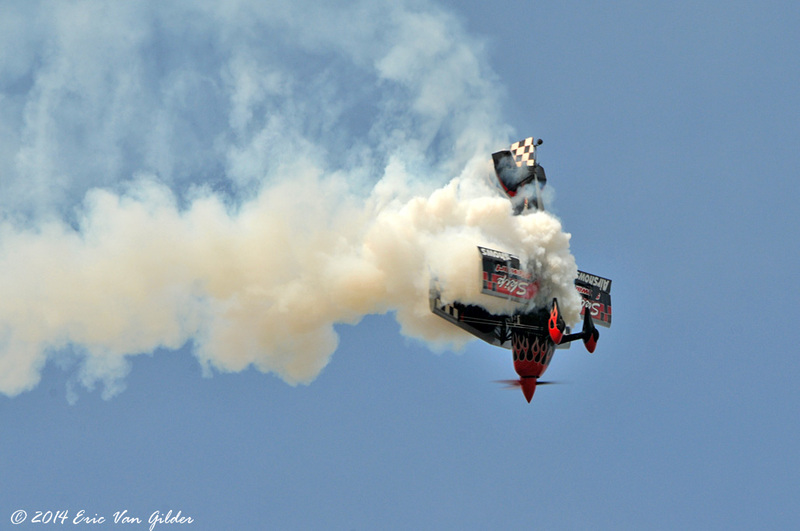 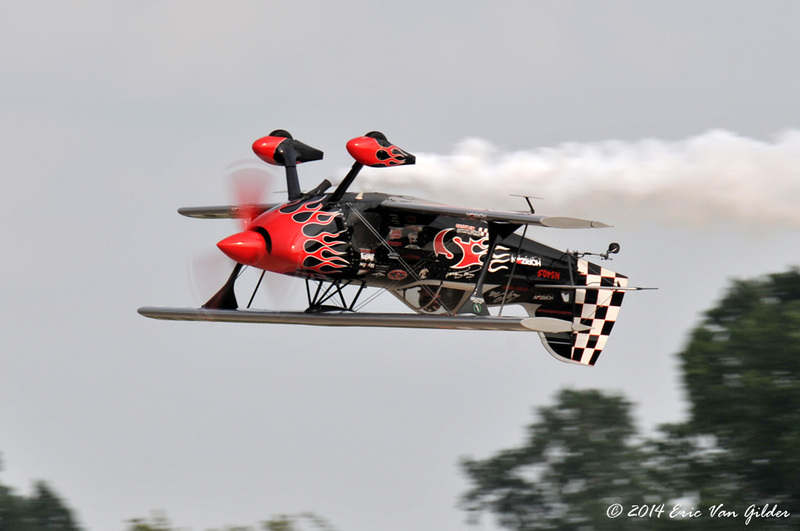 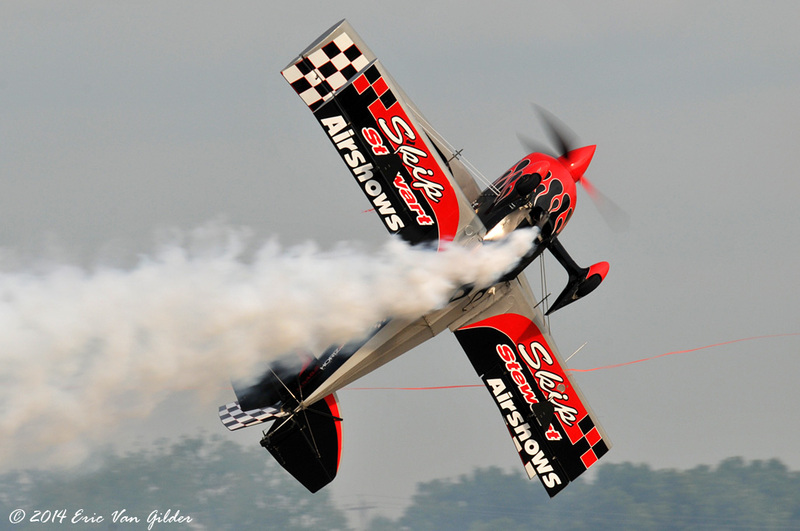 His airshow performance are always exciting and filled with action.